Argues for the queer potential of video games While popular discussions about queerness in video games often focus on big-name, mainstream games that feature LGBTQ characters, like Mass Effect or Dragon Age, Bonnie Ruberg pushes the concept of queerness in games beyond a matter of representation, exploring how video games can be played, interpreted, and designed queerly, whether or not they include overtly LGBTQ content. Video Games Have Always Been Queer argues that the medium of video games itself can--and should--be read queerly. 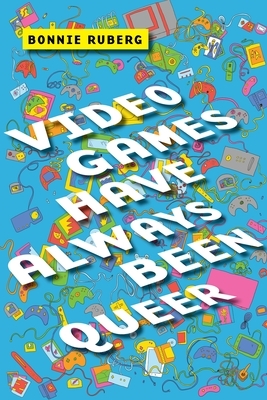 In the first book dedicated to bridging game studies and queer theory, Ruberg resists the common, reductive narrative that games are only now becoming more diverse. Revealing what reading D. A. Miller can bring to the popular 2007 video game Portal, or what Eve Sedgwick offers Pong, Ruberg models the ways game worlds offer players the opportunity to explore queer experience, affect, and desire. As players attempt to 'pass' in Octodad or explore the pleasure of failure in Burnout: Revenge, Ruberg asserts that, even within a dominant gaming culture that has proved to be openly hostile to those perceived as different, queer people have always belonged in video games--because video games have, in fact, always been queer.